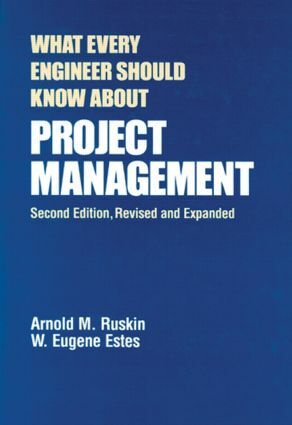 Covering the roles and responsibilities of the project manager, this second edition describes requirement specifications, work breakdown structures, project control and risk management, and offers new information on motivation, matrix arrangements, and project records. Discussing the anatomy of a project planning and control and techniques, the authors describe the project manager's entire range of responsibilities from initial planning to directing personnel, controlling work, and reporting results. The appendices cover work breakdown structure paradigms, cost versus time profiles, and checklists to assess work done. "…readable…give[s] good attention to practical problems…recommend[ed]." able…give[s] good attention to practical problems…recommend[ed]."